Rockport has always been one step ahead of the times, believing the perfect shoe has not yet been invented. This positive dissatisfaction compels them to constantly improve upon their footwear. Founded in 1971, they were the first company to use advanced athletic technologies in casual shoes to achieve lightweight comfort, and the first company to engineer walking comfort in dress and casual shoes. Rockport Womens Total Motion Amy Gore Mary Jane Shoe. Leather. Black. Heel Approximately 1.75 inches. Glove like fit, controlled flexibility. Instant Comfort. Adiprene by adidas. Synthetic Sole. The 1461 is crafted with the same Doc~s DNA as its 8-eye counterpart: grooved edges, yellow stitching and Smooth leather, a lightly textured, highly durable material with a soft sheen. It~s built on our iconic, comfortable air-cushioned sole, that~s oil and fat resistant, with good abrasion and slip resistance. Best of all, the sole is secured using one of the finest construction methods available: the Goodyear Welt. The Nappa leather uppers is a hard wearing corrected grain leather with an unblemished finish. Original DMS sole. Black Stitch Z Welt. The Jordan Jumpman Pro OG Bred colorway returns in 2017 to celebrate the 20th Anniversary of its original release back in 1997. Dressed in a Black and Royal Blue color scheme. This classic Jordan Jumpman Pro is direct copy of the original. Built with a Black tumbled leather upper with detailing on the liner midsole and outsole. A retro look revamped in classic Frye style. This low-slung sneaker gets a modern update with leather laces, antiqued metal eyelets and smooth vintage leather. Hand burnishing brings out the richest hue. Slick black rubber edging makes this a go-to style for everyday moseying. Breezy and bold, this black leather city sandal combines an activewear spirit with a ladylike heel. A hook-and-loop closure, OrthoLite footbed with leather sockliner, Clarks Plus intelligent underfoot cushioning, and TR outsole add signature Clarks Artisan comfort. Choose this womens sandal to mix, match, and energize all your favorite separates. The Shale romeo is designed to withstand the harsh conditions of drilling work, but give you the easy slip-on comfortable romeo style. 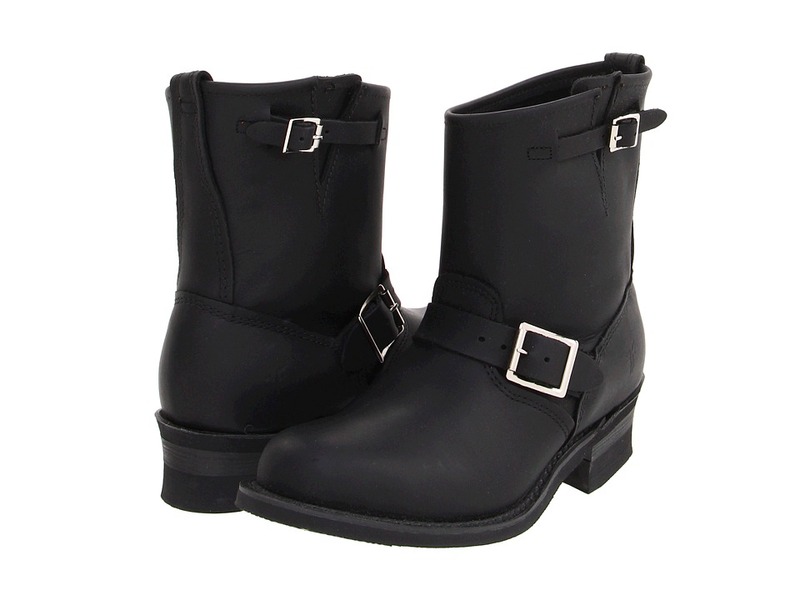 Made of black oiled full-grain leather, the boot has elastic side gores so the footwear goes on quickly and is comfortable. Slightly taller than the common romeo, at five inches you get the height of a traditional hiking boot. Effortless style is yours with this chic women~s ballet flat from the Clarks Artisan Collection. Made of premium black patent leather, the Candra Light has a squared-off toe and thin bow with gold accents. 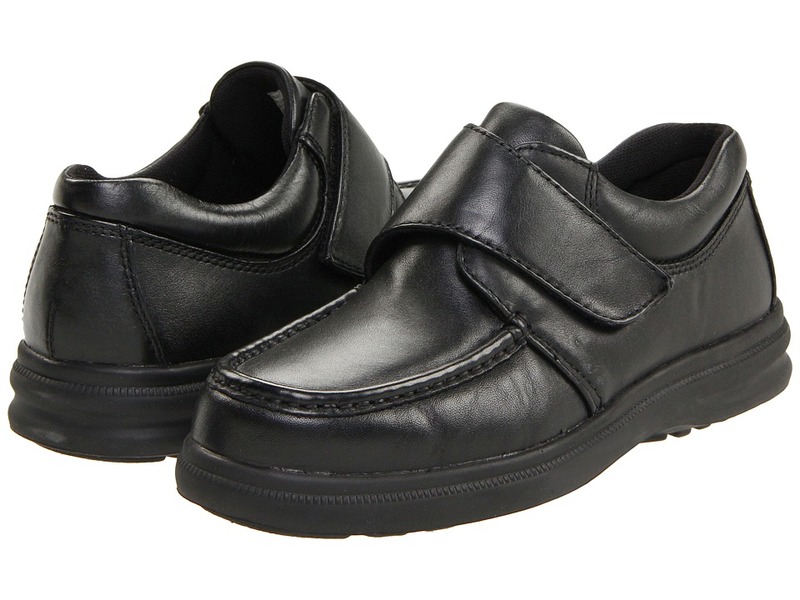 Plus, a removable Clarks Cushion Plus with OrthoLite footbed makes every step comfortable. Works equally well with a polished wrap dress and casual khakis. Conquer the West with these trusty boots by Durango. Leather upper for long, durable wear. Welted construction. Unlined interior. Taped side seams. Cushion insole for comfort. Shallow scallop collar with two pull tabs. Ankle harness with metal ring and stud details. Oil resistant outsole with a strider heel. Measurements: Heel Height: 1 1 2 in Weight: 2 lbs 4 oz Circumference: 14 1 2 in Shaft: 11 in Product measurements were taken using size 11, width D - Medium. Please note that measurements may vary by size. Weight of footwear is based on single item, not the pair. The Engineer 8R has a hand-crafted construction for superior fit and comfort with authentic styling. 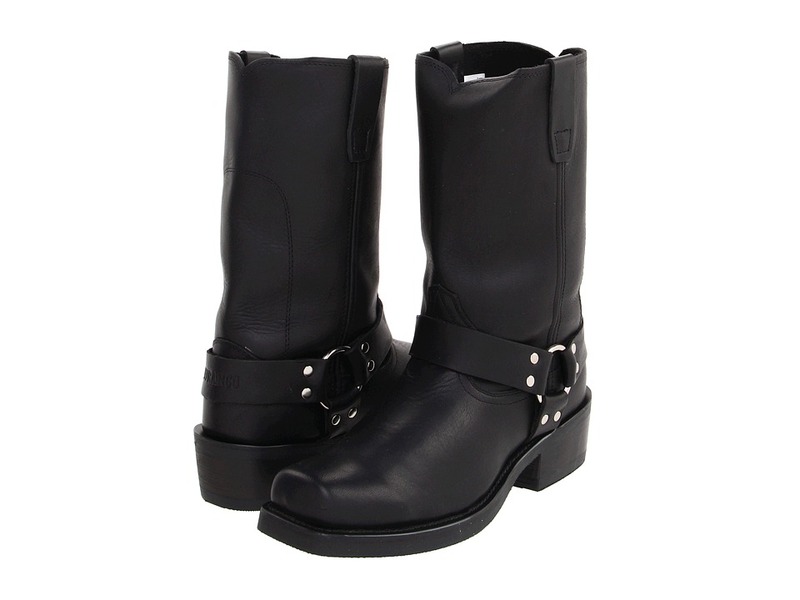 Old Town leather upper with adjustable buckle straps across the vamp and shaft. Unlined interior. Cushioned leather insole for all-day comfort. Rubber outsole. Made in the U.S.A. Measurements: Heel Height: 1 1 2 in Weight: 1 lb 9 oz Circumference: 12 in Shaft: 7 in Product measurements were taken using size 6.5, width B - Medium. Please note that measurements may vary by size. Weight of footwear is based on single item, not the pair. 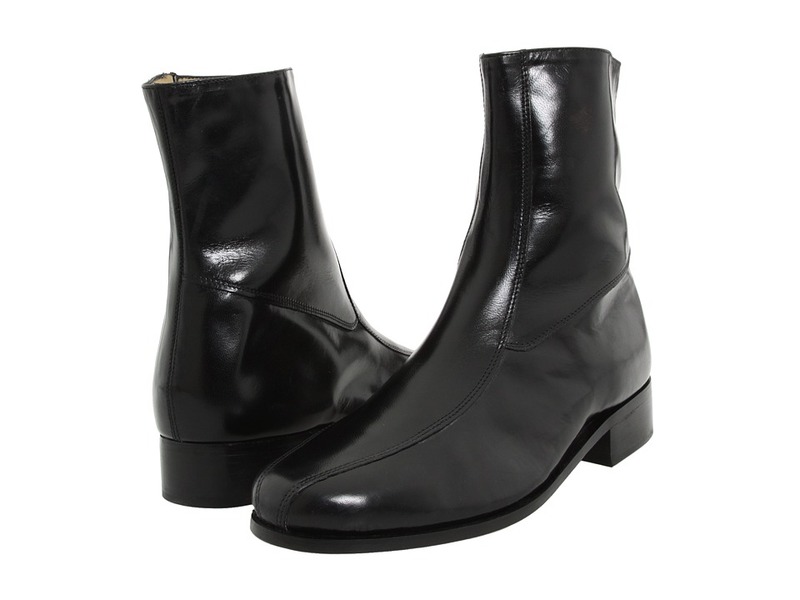 The casual Gil from Hush Puppies are so light, they~re almost weightless! Smooth leather upper with tonal stitching and moc-toe design offers a clean, casual appearance. Easy hook-and-loop closure. Fully cushioned provides a comfortable, customized fit. Removable, contoured EVA footbed with an open cell mesh cover provides additional cushioning. Strobel construction and a contoured last bottom allow for flexibility and sole comfort. Exclusive Zero G technology incorporates an ultra lightweight and shock absorbing Elon midsole with a long-wearing Rubberlon outsole. Imported. Measurements: Weight: 1 lb 1 oz Product measurements were taken using size 8.5, width D - Medium. Please note that measurements may vary by size. Weight of footwear is based on single item, not the pair. Pull your look together with the Bristol boot from Nunn Bush. Polished kidskin leather upper with tonal stitching and run-off toe offers a sophisticated appeal. Full inside zipper closure provides an easy on and off for a convenient fit. Soft leather lining supplies climate control and comfort for all-day wear. Lightly cushioned footbed offers support and comfort with every step. Leather outsole delivers durability and grip to maintain your confident stride. Measurements: Heel Height: 1 3 8 in Shaft: 8 in Product measurements were taken using size 8.5, width EE - Wide. Please note that measurements may vary by size. Weight of footwear is based on single item, not the pair. Walk into your world with confidence and style with this sophisticated cap toe oxford by Stacy Adams! Leather or leather/suede upper. Smooth leather or combination with textured panel inlays. 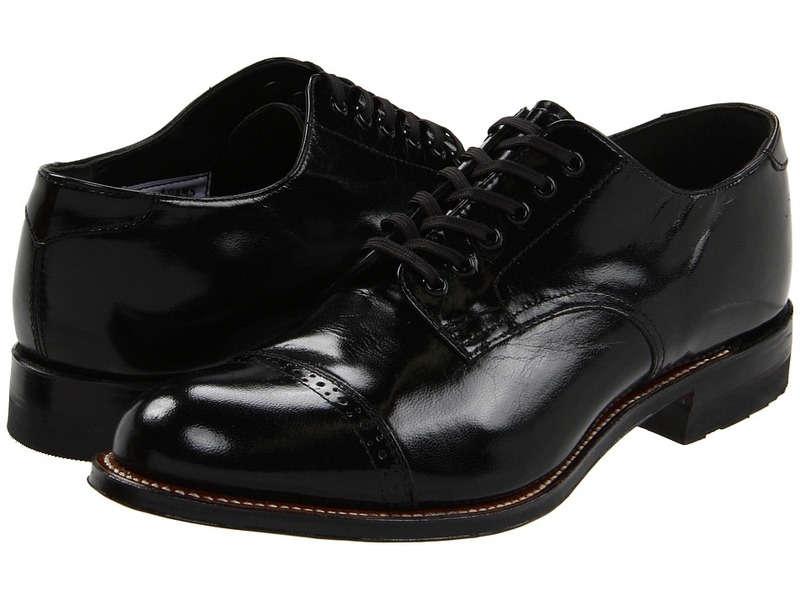 Updated, six eyelet cap toe oxford with contrasting stitch. Perforated designed cap toe. Stylish swing design for a variety of occasions. Soft leather lining. Lightly padded footbed for added comfort. Leather outsole. Imported. Measurements: Heel Height: 1 in Weight: 1 lb Circumference: 11 in Shaft: 4 1 4 in Product measurements were taken using size 9, width E - Wide. Please note that measurements may vary by size. Weight of footwear is based on single item, not the pair.